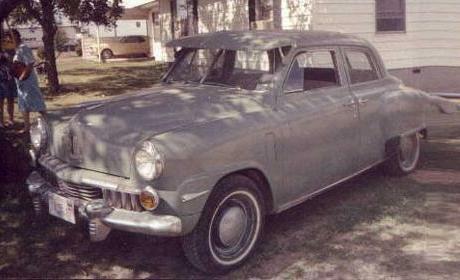 This 1947 Studebaker Champion 4-Door Sedan belongs to Frank McCollum of Arlington, Texas. At the time it was introduced, the 1947 Champion was two years ahead of post-war designs from Chevrolet and Ford. 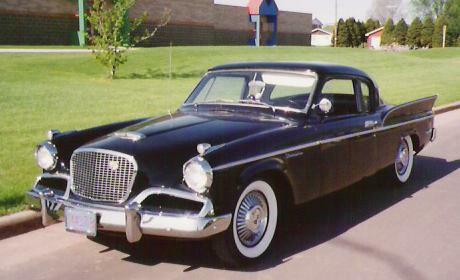 Studebaker produced a small number of 1946 Champions which were little changed from the 1942 version, but production soon changed over to the new design. The restyled Champion was an instant sales success, and it remained basically unchanged through 1949. Champions of this period made 80 horsepower from a 170 cubic inch flathead six. They work best when equipped with an overdrive transmission. Frank's car is for sale at a very attractive price. 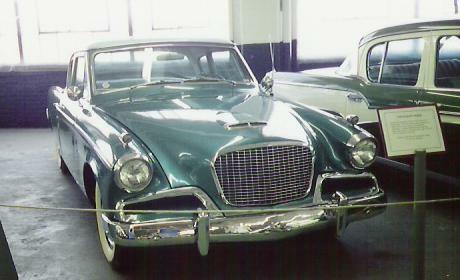 At the time this picture was taken, this 1957 Silver Hawk Coupe was owned by John Dickson of Stanley, Wisconsin. Most 1957 Silver Hawks were powered by the 289 cubic inch Studebaker V8 as used in the Studebaker President. However, 4,163 Silver Hawks out of a total production of 14,950 were built with the 185 cubic inch Champion six, and this is one of them. I bought this car from John in 1993 on the basis of pictures and phone calls. As can be seen from the picture, the car was in great condition, and I was not disappointed when it arrived at my house. The Studebaker Coupe Express was styled like a passenger car and as such it was a precursor to the Chevrolet El Camino and Ford Ranchero which came along twenty years later. 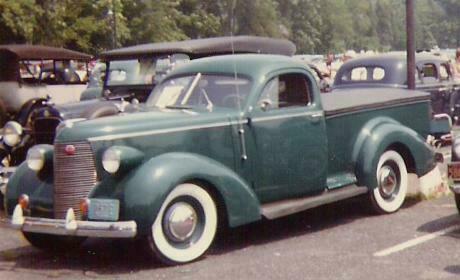 Pod headlights were continued from the previous year and the grille was revised to match that of the 1938 Commander. Coupe Express options were basically the same as on Studebaker pasesenger cars including a radio, heater, overdrive, bumper guards, and fog lights. The Flight Hawk Coupe was the least expensive Hawk for 1956. Flight Hawks were equipped with the 185 cubic inch Champion six rated at 101 horsepower. The similiar Power Hawk Coupe differed mainly in that it was equipped with a 259 cubic inch V8 rated at 170 horsepower. The Flight Hawk and Power Hawk were replaced by the Silver Hawk the following year. This picture was taken during my August 1994 visit to the Studebaker National Museum in South Bend.